I’ve caught the bug. Every time I get on my bike, I want to go faster, or more efficient, or outplay my opponents. It’s a mindset that has crept in, altering the way I look at the road, and my body. To get started in cycling, the barriers to entry are fairly low. All you need is a bike. Most of us experienced the freedom of two wheels at a young age, as the bicycle becomes your vehicle to explore the world beyond logistical dependency on Mum or Dad. Now for the large majority of people, the bicycle remains a utility. It’s a means to get around from point A to B, or means for social activity. I’d argue that most of the people in cycling clubs today are there for social reasons, just like the tens of millions that go to gyms just to talk to people. But there is a subgroup that has a different aspiration, one that tests the performance of the marriage between man and machine. I’m talking about bike racing. I’ve started bike racing, and so far I love it. It’s become the focus point of my goals, my training and my equipment. But, racing isn’t as easy to get into. First, you need to find a race, something dependent on race organizers. Once you have an event booked in the calendar, you start to enter an entirely new world within cycling. A place where not only your awareness of strategy, preparation, tactics, and body is tested, but also your mind. 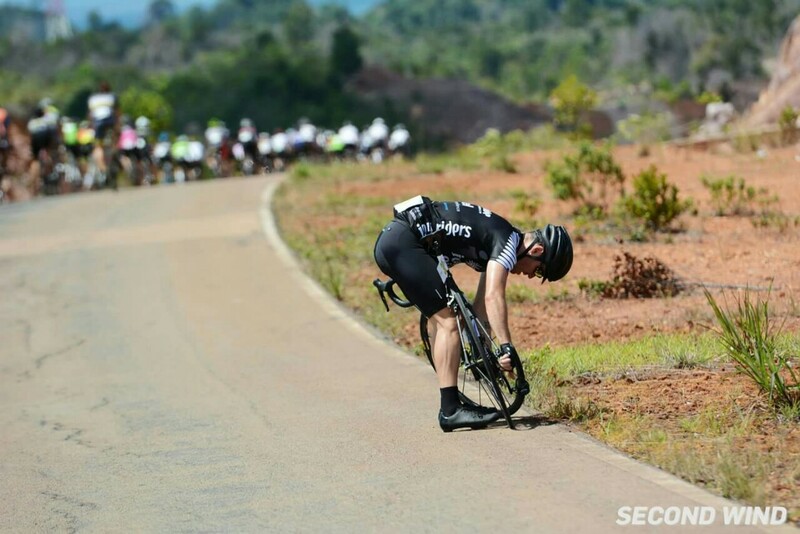 Last weekend, I did my first race in over a decade – the hot and humid Tour de Barelang. It is a popular event on the Singapore Race Calendar. Last month, despite my training and preparation, my need to go back to fuel efficiency training forced my ego to drop from Cat 2 to Cat 3. Racing is all about experience and skills. The fittest guy on the morning ride maybe terrible in race conditions, as the wisdom and handling skills of those around him prove strong. My race experience wasn’t ideal. 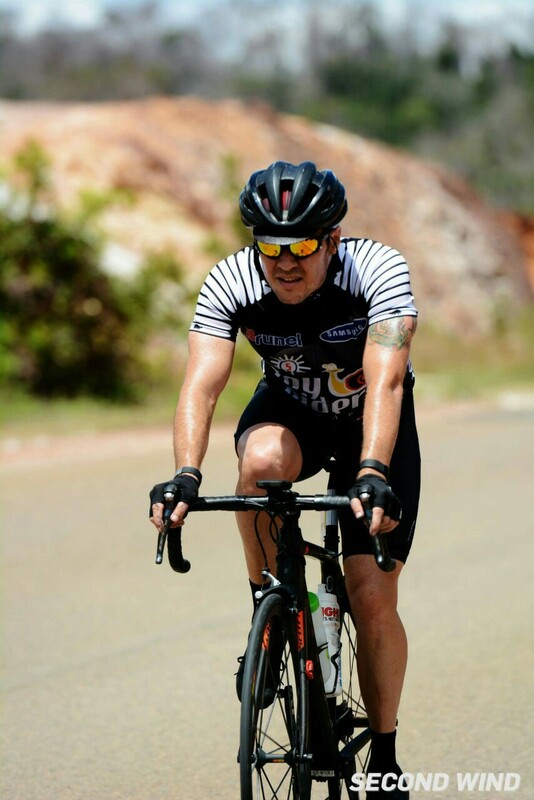 Although I was at the top 20 at the 80th kilometer of 135 km, four mechanical issues (dropped chain) in a span of one kilometer ride put me far behind of the pack. Of course, in the heat of the moment, my ego took control and I chased… oops, I missed the drink station. 25 km later, with the pack in sight, reality started kicking in as my dehydrated body started to bonk. With the water bikes out of reach, all I could do was look for a local drink vendor, which I found in a small family shop. My secret sauce was a can of Coke, bottle of Pocari, and two bottles of water. Back on the bike and fueled, well almost, I had to wait for the fluids to be absorbed by my body. But despite my desires, my body was going nowhere, as cramps started to haunt me. The final 20 km become a battle of survival. My goal at the start of the day was for race experience. I wasn’t aiming for the podium or to break records. It’s fair to say I got the experience, but what did I learn? 1. Have a plan: A plan for the race acts as your self control. When the field is moving slower than you’d like, take the rest especially if you’re inexperienced. Having a plan and sticking to it also helps gauge your skill and fitness understanding. 2. Plan your feeding: No matter what the length of the race is, know how often, how much and what you’ll be feeding on. In 135 km of cycling, I had one bar, and two gel shots, each an hour apart. I learnt a trick from a mentor. In a race with bottle service, start with small bottles. It means you’ll finish your water first, and as a result you’ll always be first to call for water avoiding lengthy delays to get the bike riders attention. 3. Ride with people you know or trust: Racing can get hairy, so you are best to surround yourself with people you have ridden with, or trust. During my race, I got stuck behind with non-English speaking riders, not great when you’re dependent on them to call the holes on the road. 4. Soak it up: Unless you’re at an elite level, try to enjoy the race. Yes, it’s a test of your performance, but enjoying the race, the scenery, and the experience will help boost your confidence and motivation. Both are positive influences on performance. 5. Learn: The more you race, the more you learn. At your first race, you are short on skill and experience, so make every effort to learn from the more experienced riders around you. Every one was a novice racer at some point. My next race will be the bike leg of the Singapore International Triathlon. It’s my next chance to learn. This was a very interesting blog, anticipating more good posts 🙂 I’m a cyclist as well. Thanks for the comment. Do you race as well? I want to, I’ve participated in Non-Pro Tours, but I plan to participate in more professional events like Criteriums and others. Lately I’ve begun to up my training intensity to a more serious level.